When I attended the Harvard Business School my favorite class was Managerial Economics. It focused on decision making under uncertainty . The first thing to understand here is the concept of expected value. You determine this by multiplying each outcome by the probability of its occurrence, then adding them all together. For example, the expected value of a coin flip where you win $10 with heads and lose $5 with tails is (.5 * $10) + (.5 *-$5) = $2.50. We should be indifferent between playing this game and receiving $2.50 without doing the coin flip. In this case, $2.50 is both the expected value and the “certainty equivalent,” or what we would accept for certain instead of playing the game. Let’s say we raise the stakes and with the same one-time coin flip we could win $10,000 with heads and lose $5000 with tails. Our expected value is $2500, but the amount we would accept for certain may now be different than $2500. Those who are risk seeking might play the game for an amount equal or greater to its expected value of $2500. Those who are risk averse would accept less than $2500 instead of playing the game. Someone conservative, who does not like the idea of losing $5000 on a coin flip, might pay something to not have to play. The amount of risk aversion we have depends on the size of the outcome relative to our financial condition. Because of risk aversion, we buy insurance having a negative expected value (and a positive one for the insurance company) in order to avoid the risk of catastrophic loss. On the other hand, risk seekers may buy low-cost lottery tickets with extremely negative expected values for the small chance of an enormous payoff. This can be especially appealing to those having little to lose and much to gain. Risk tolerance defined by the ISO 22222 Personal Financial Planning Standards is “the extent to which a consumer is willing to risk experiencing a less favorable financial outcome in pursuit of a more favorable financial outcome.” It is an assessment of our psychological ability to deal with uncertain outcomes. It is not symmetric due to loss aversion. Investors will often trade $1.5 to $2 in gains to avoid $1 in losses . Risk tolerance is generally a stable personality trait. But it is subject to situational influences, such as our mood, and may change due to our life experiences, such as aging. Knowing our risk tolerance is important because financial decisions are motivated by emotional as well as logical factors. Investors, for example, often chase performance. They may invest based on attractive past results, then bail during periods of underperformance. The 2016 annual Dalbar report showed the average U.S. equity fund investor earning 4.7% over the past 20 years, while the S&P 500 index gained 8.9%. Poor timing decisions caused nearly half of this underperformance. 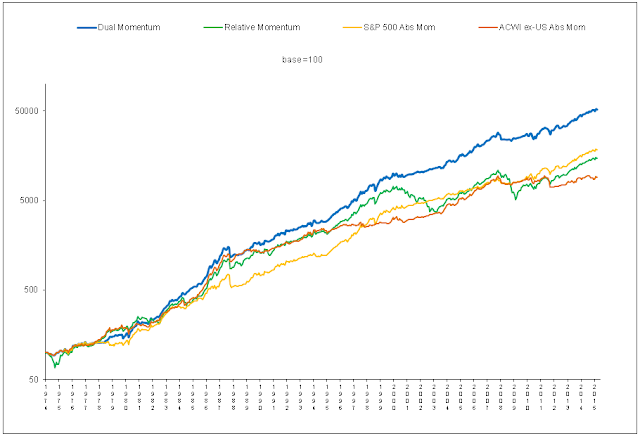 A dramatic case of this effect involved CGM Focus (CGMFX), the highest return U.S. stock fund from 2000 through 2010. It’s average annual return was 18.2%, but the fund’s typical shareholder lost 10% during that same period! Investors added heavily to this volatile fund near the top and bailed out as the fund neared its bottom. When markets go up we may hop on board without considering the volatility that lies ahead. Risk tolerance assessment can help us avoid this behavior by showing us ahead of time our psychological ability to deal with uncertainty and risk. This can help us choose more suitable investments. Recognizing that we are sometimes more emotional than rational, FINRA issued Regulatory Notice 12-25 in July 2012. It added risk tolerance to the list of factors that should be used to determine investment suitability. The other factors are age, financial condition, investment holdings, investment experience, time horizon, liquidity needs, tax status, and investment objective. Yet many investment firms still use only traditional indicators of investor suitability that focus on the ability to absorb losses and on investment horizon. Fidelity, for example, asks new clients for the following information: investment purpose, time horizon, investment objective, annual earnings, net worth, liquid assets, investment experience, and liquidity needs. Other firms try to integrate risk tolerance into their investor profile questionnaires. Vanguard, for example, added five risk tolerance questions to the other six questions in their client Investor Questionnaire . Kudos to them for including a real world question of how you would (and did) react in 2008 when stocks lost 31% of their value. Our rational choices are not always the same as our emotional ones during times of actual market adversity. It is better to keep risk tolerance questions separate from questions like our time horizon, financial goals, and investment objectives. Risk tolerance and other investor profile questions should be evaluated separately to gain more insight into the differences between our financial goals and our behavioral biases. A robust risk tolerance questionnaire will tackle the behavioral elements of risk not covered by standard investor profile questions. A risk tolerance assessment can show us if our financial objectives are too conservative or too aggressive. Ignoring risk tolerance can cause us to abandon our financial plans during times of market stress. According to FinMetrica, 60% of the people who take FinMetrica's risk tolerance questionnaire (RTQ) find there is no strategy that will allow them to reach all their investment goals while adhering to their risk tolerances. In such cases, investors might want to use their risk tolerance profiles to revise their financial goals. How do we go about using RTQs? In the 1980s, I developed my own. I asked investors to choose between various financial outcomes. From this information, I constructed their risk profiles. I was surprised to see how much variation there was in risk tolerance. It was then I realized this information could be useful for portfolio planning purposes. The science of psychometrics, which is the blending of psychology with statistics, has evolved since that time. You no longer have to do all the work yourself. There are several services, like FinMetrica and Riskalyze, that offer RTQs to financial planners. There is also a freely available online RTQ by Ibbotson Associates and Financial Planning Services Australia. In addition, John Grable and Ruth Lytton, two financial planning professors, have an RTQ you can access online. Several research papers document the validity of their questionnaire: Grabel and Lytton (1999) and Gilliam, Chatterjee, and Grabel (2010). RTQs were criticized during the 2008 financial crisis for not anticipating how market turmoil could cause changes in risk tolerance. Critics argued that risk tolerance depends on market return and volatility. But Roszkowski and Davey (2010) present data collected pre- and post-crisis showing that the decline in risk tolerance was relatively small. What mostly changed was investors’ perception of risk. 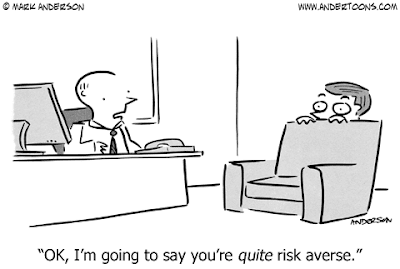 The authors conclude that risk tolerance is a stable personality trait. Sham (2008) makes the same point. Risk perception, however, changes because it is a cognitive appraisal of external conditions based on one's mental state. This is good news since risk perception can be modified through more information and better education. We cannot however look at risk tolerance just once and then forget about it. Risk tolerance does not take into account life changing events and shifting investment goals. We should periodically reevaluate risk tolerance, which is easy to do using the above tools. 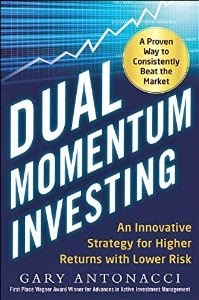 I encourage investment professionals who license my proprietary models to use RTQs with their dual momentum clients. This can help them decide which model(s) best suit their investors' risk preferences while meeting their investment goals. Other advisors should consider doing the same. If you manage your own account, you can follow the Greek maxim "Know Thyself" by using the RTQs by Ibbotson Associates or Grabel and Lytton. They can help you see if your investment portfolio is suited to your own risk tolerance and if, based on this, you should consider making some portfolio changes. Your financial and psychological health may depend on it. See Von Neumann and Morgenstern. See Tversky and Kahneman (1979). Another publicly accessible questionnaire that combines risk tolerance with other factors is in the Financial Planning Practitioner’s Guide by the Canadian Institute of Financial Planners.